has what it takes to keep you covered in the water or on dry land. We wanted to build a brand from the bottom up that while it embraces all of the things we appreciate, is a high quality American made product that serves our paddling community in all its forms. So whether you paddleboard, canoe, kayak, surf, or just have one hell of a dog; we’d love to hear about it. Our mission is to be the go-to brand for you. From the mountains to the coast and everywhere in between, let Paddle Hound be the brand you call home. The next time you head out to where land ends and the water begins, far removed from the office cube, conference room or the job site, enjoy it with Paddle Hound. 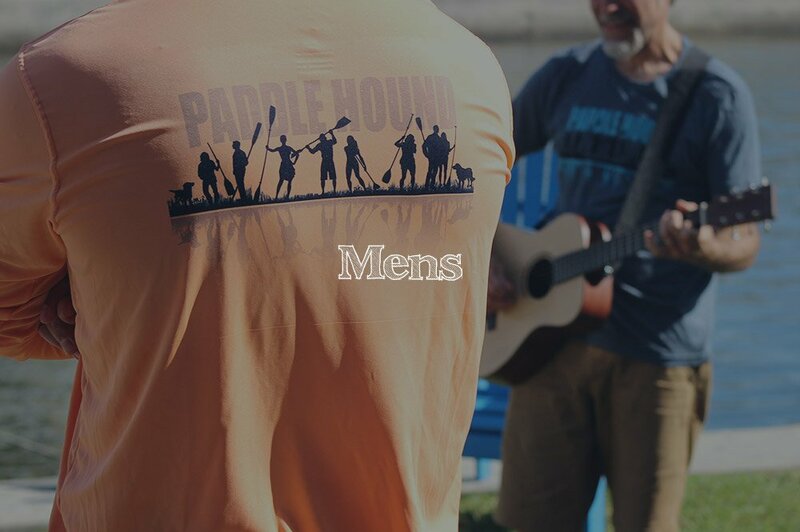 We cordially invite you on our journey to make Paddle Hound your brand for distinctive branded apparel and performance wear. We hope to see you on the water or at the next SUP event. We encourage you to keep those paddles in the water and when given a choice, take the path less paddled. Wondering where you can find Paddle Hound? We’re partnering with retailers throughout NC, SC and along the East Coast. Interested in becoming a Paddle Hound Partner? Send us your info using the form below and we’ll be in touch as fast as our four legs can carry us! Seriously, we mean it! Let us know what’s on your mind and we’ll be in touch.